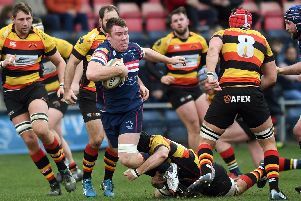 Doncaster Knights winged their way to a 34-7 victory over Championship strugglers Richmond at Castle Park. Long-serving Dougie Flockhart raced in for a hat trick of tries as Knights claimed a third successive win to climb up to seventh in the table. “We said at the start of the month that January was going to be a very important month for us so to win all three games and climb away from the bottom four is obviously very pleasing,” said director of rugby Clive Griffiths. ”We hadn’t won at Castle Park in the league since September and that was very much the focus in the build-up. Although delighted with Knights’ second half performance, during which they scored four well-worked tries prior to Richmond bagging a late interception try, the Welshman was critical of their first half display. “We got off to a good start with an early try by Dougie but after that we went back to our bad old ways of giving away penalties and making handling errors,” he said. Griffiths said he didn’t pull any punches in his half time team talk with fellow coaches Paul Cooke and Glen Kenworthy also having their say. 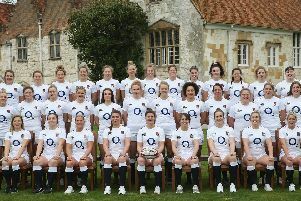 “The players responded right from the start and the try scored by (scrum-half) Tom James was worth the admission money alone. Recalled centre Lloyd Hayes also touched down. “He made a nervous start but he took his chance well and I could never see us losing after that,” said Griffiths.